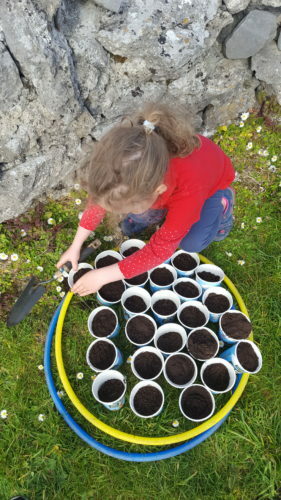 Today we planted our seeds. 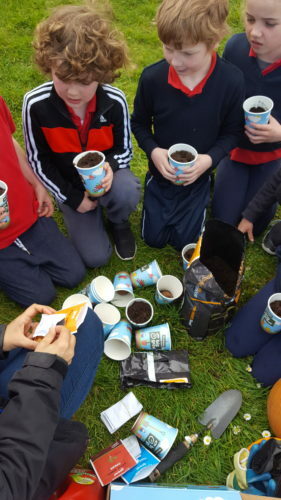 We have cress, tomatoes, carrots and potatoes. 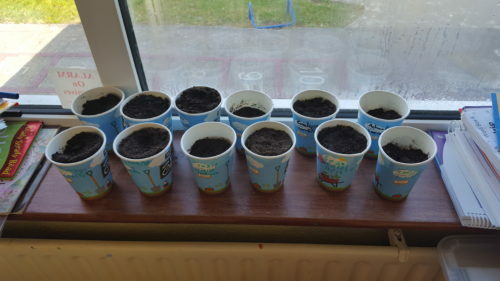 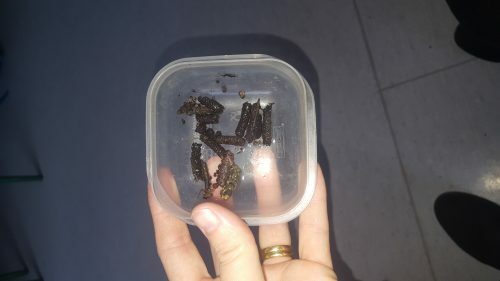 Fingers crossed all will grow!! 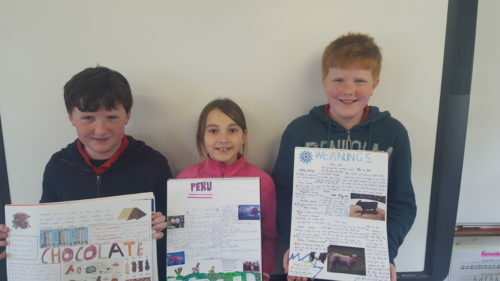 Each month the children in the senior room complete a project on a chosen topic. 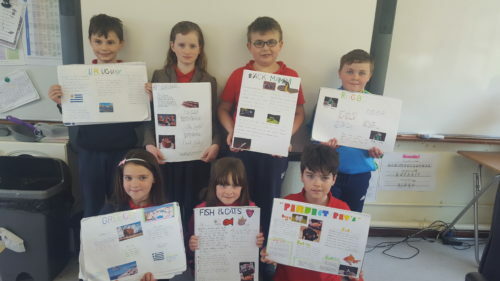 Thereafter, they present their projects to all the other children. 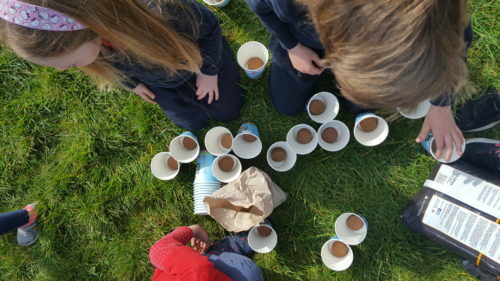 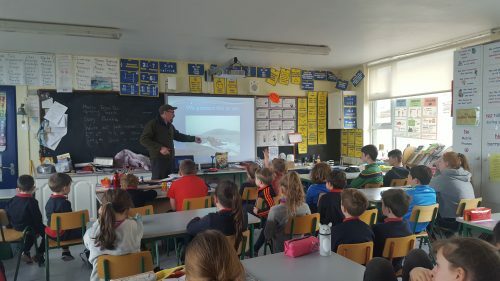 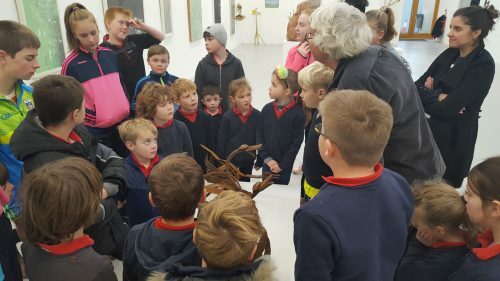 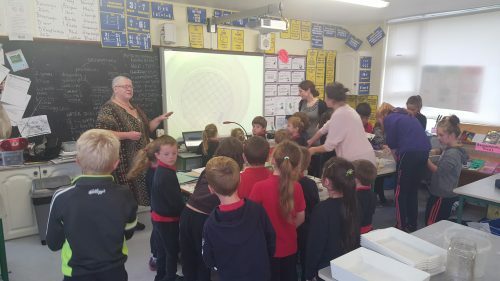 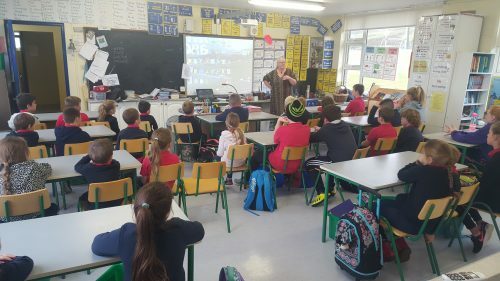 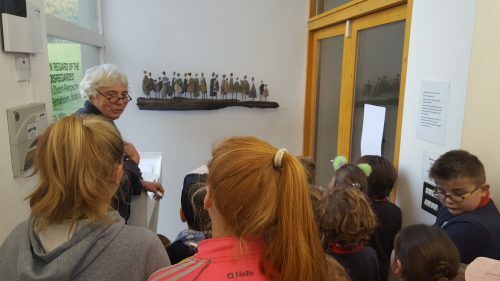 Yesterday, we had Eamon Doyle come to the school to speak with all the children about the Burren and its importance as a Geopark. 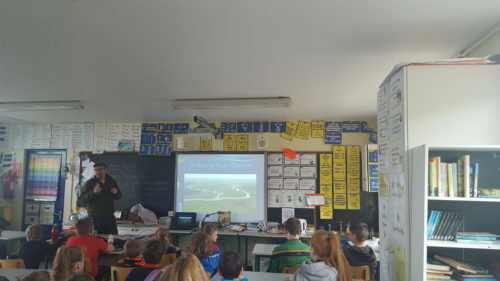 This was a very informative talk for all. 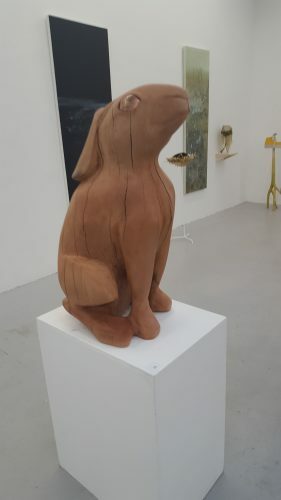 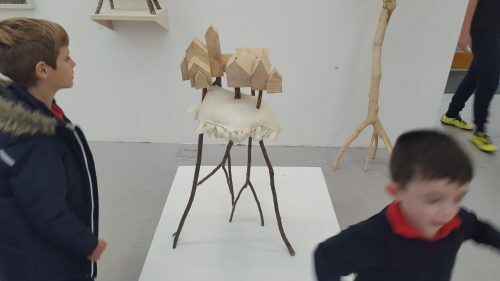 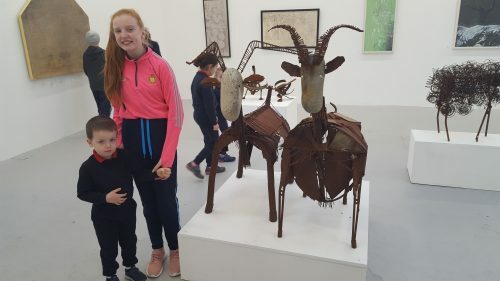 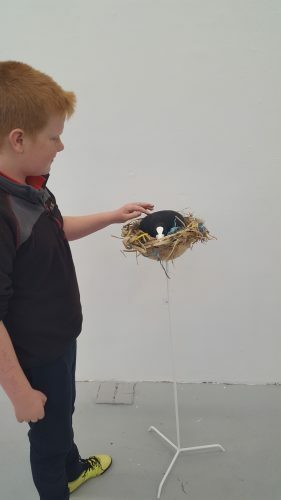 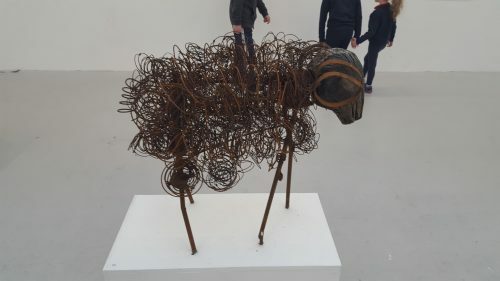 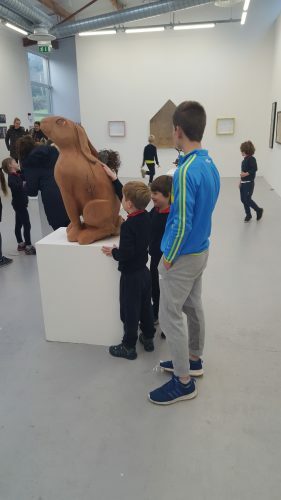 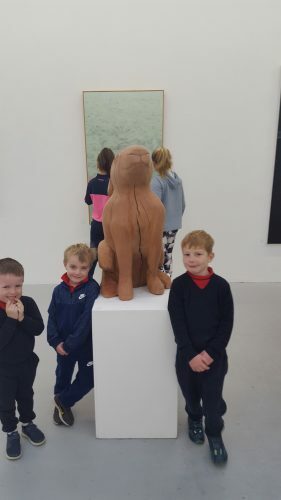 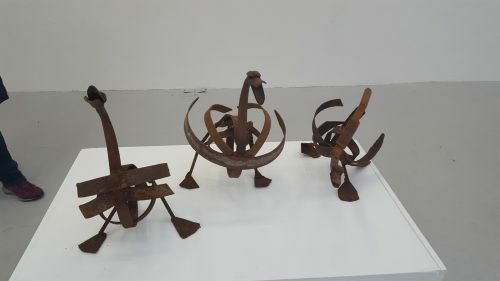 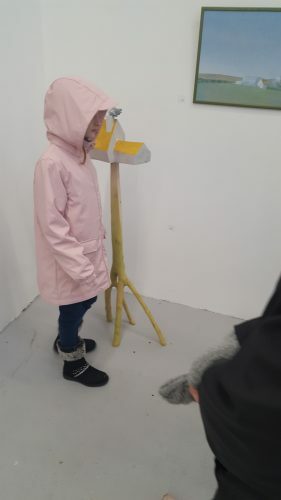 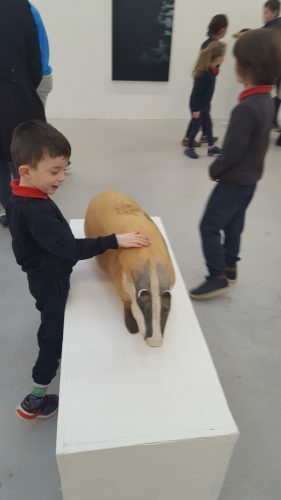 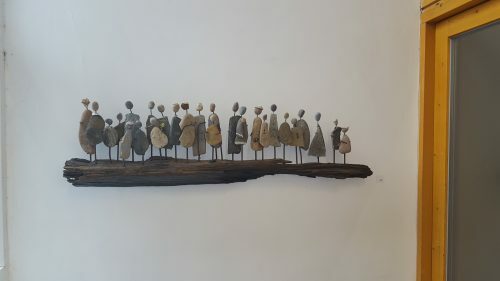 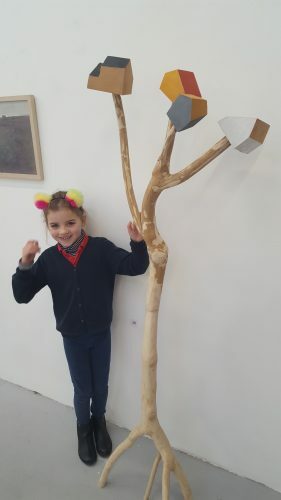 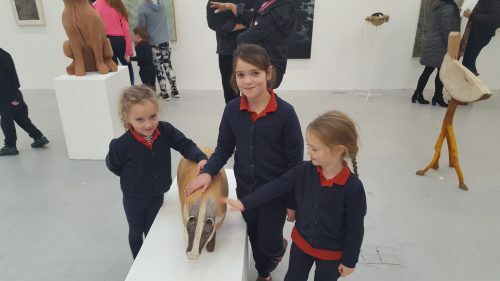 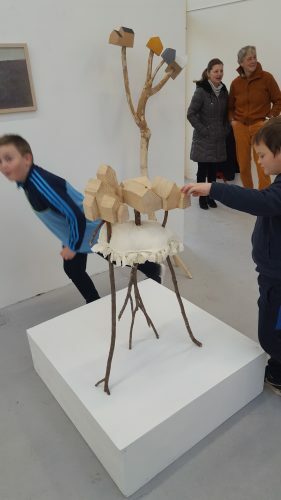 Today we travelled to the Burren College of Art to see the above exhibition by two local artists! 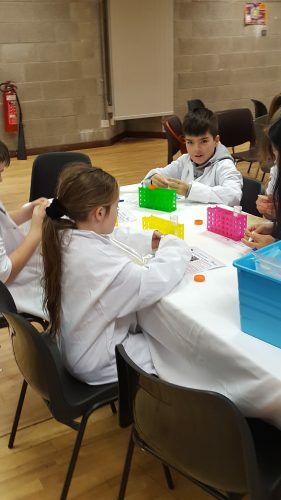 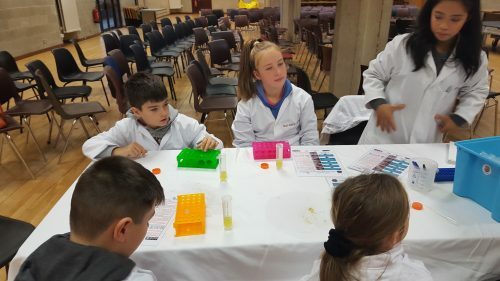 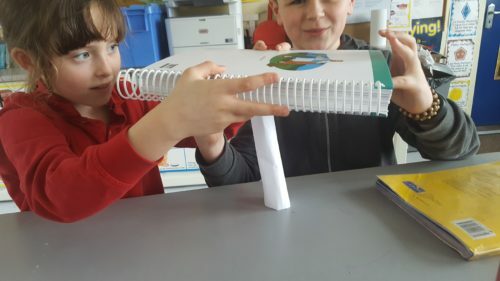 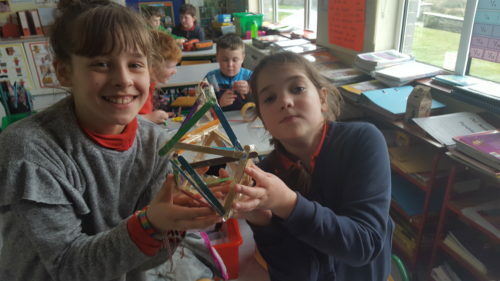 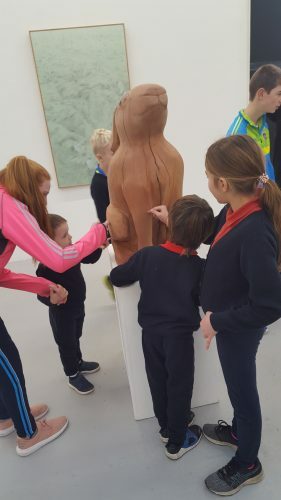 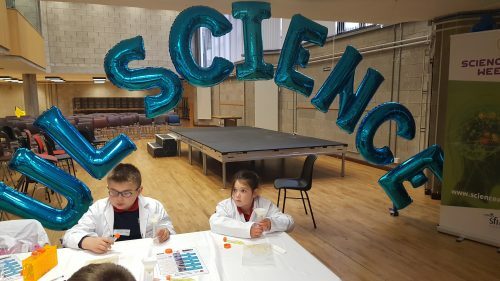 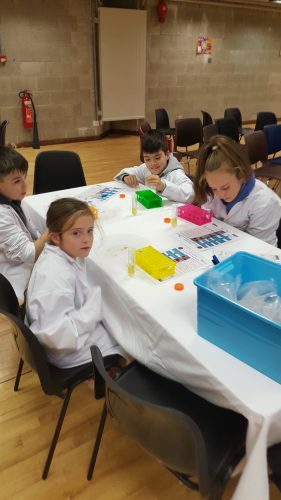 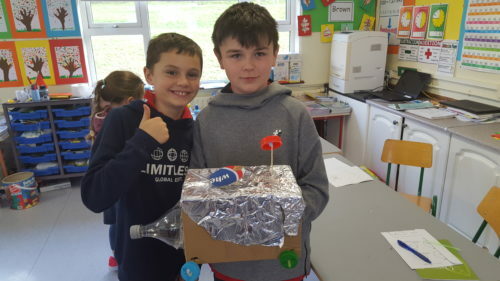 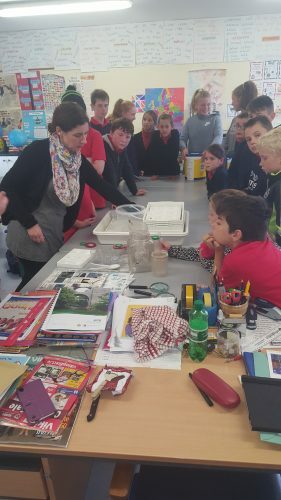 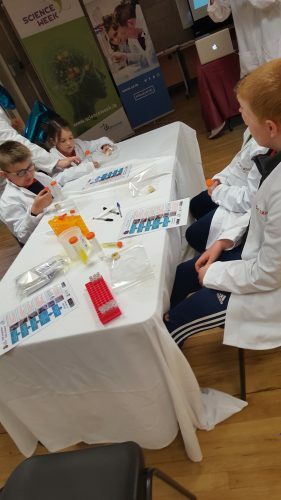 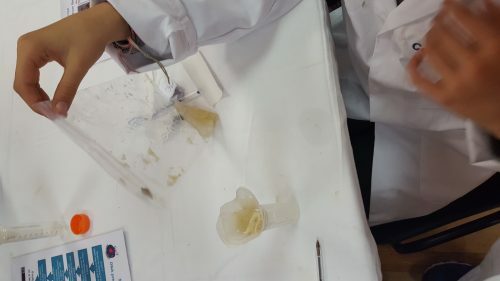 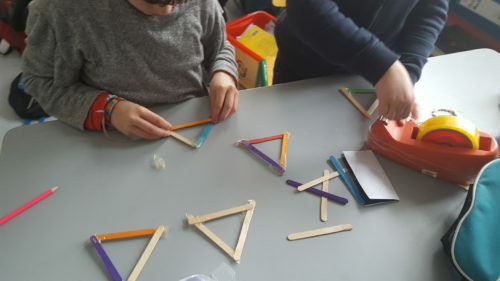 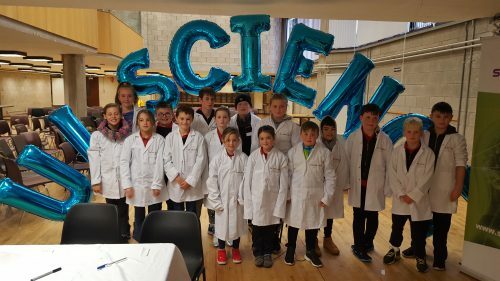 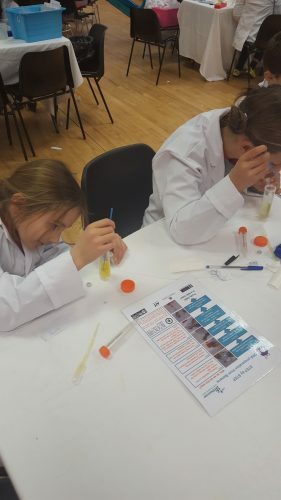 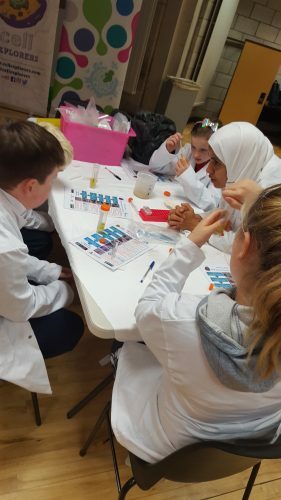 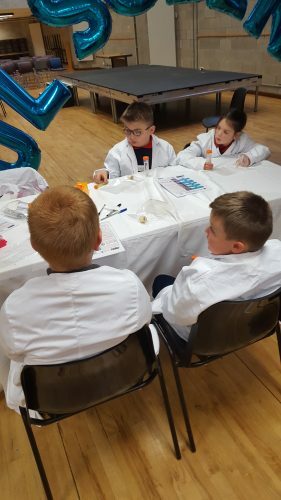 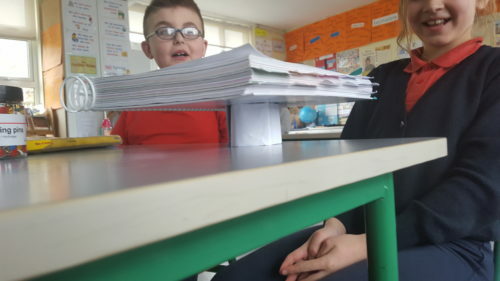 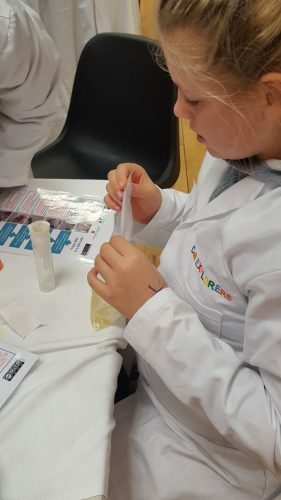 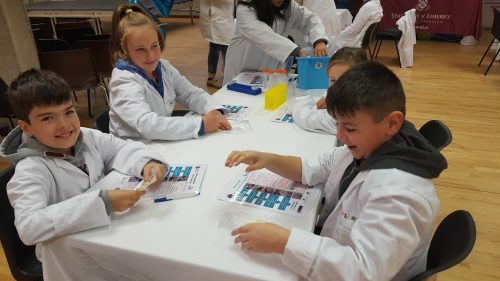 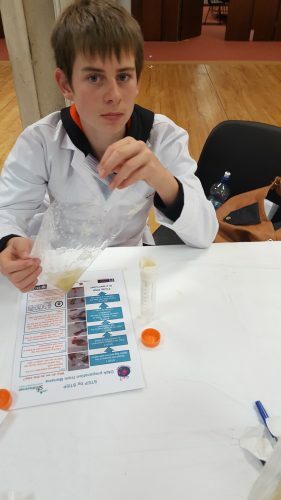 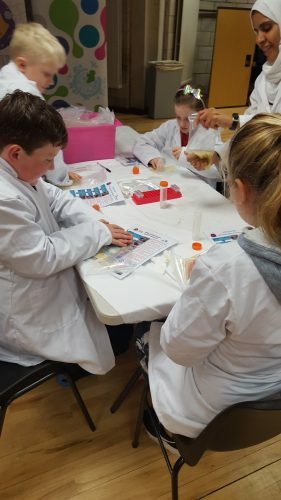 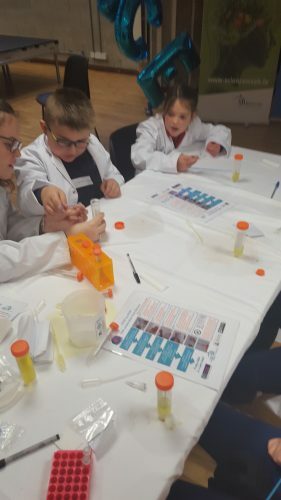 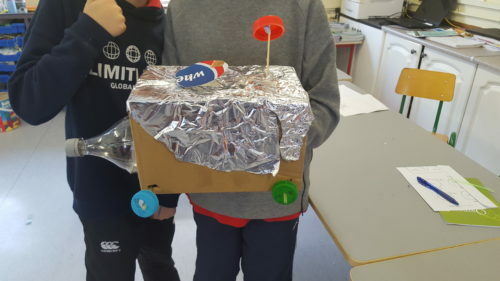 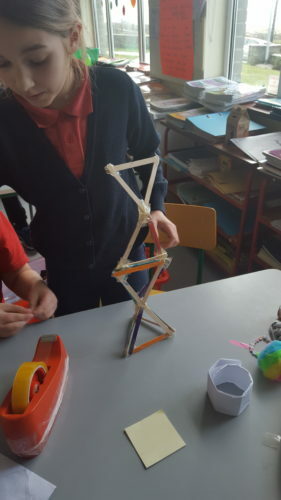 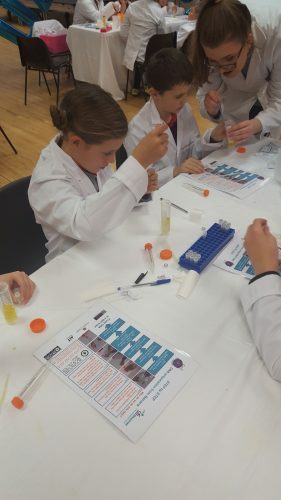 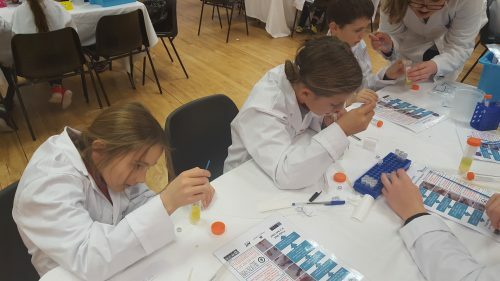 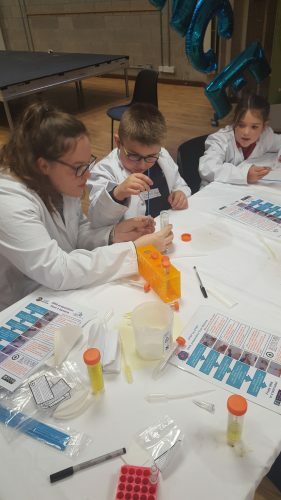 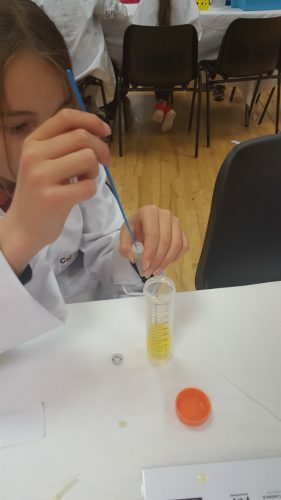 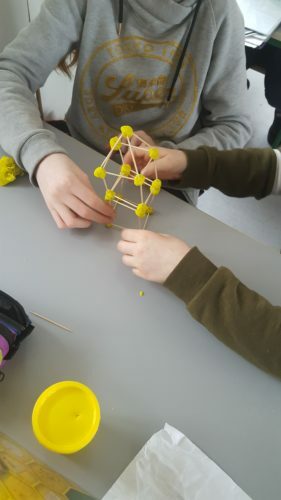 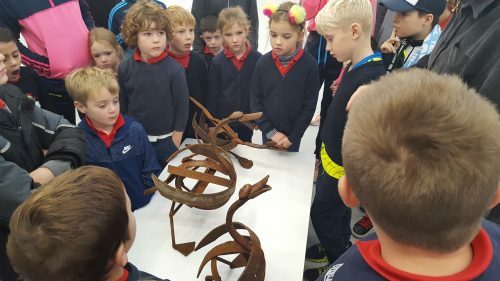 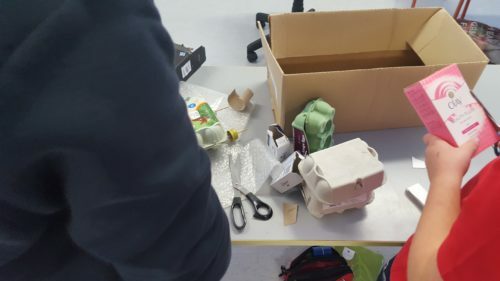 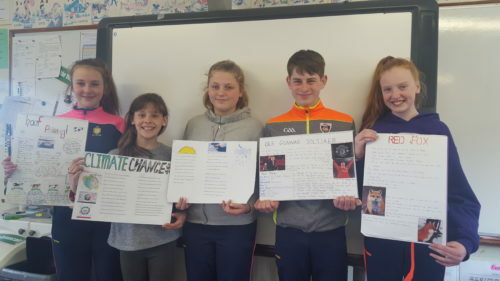 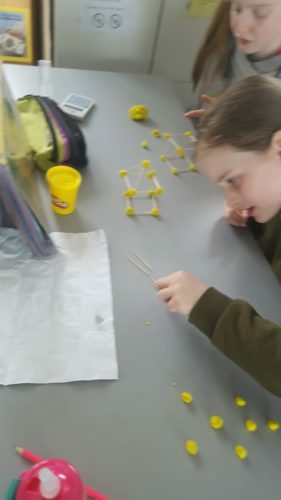 As part of Science Week 2018, the children in the senior room travelled to UL to participate in a workshop. 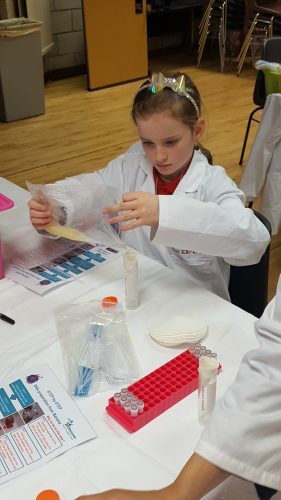 ”Cell Explorers” hands on discovery of cellular and molecular biology. 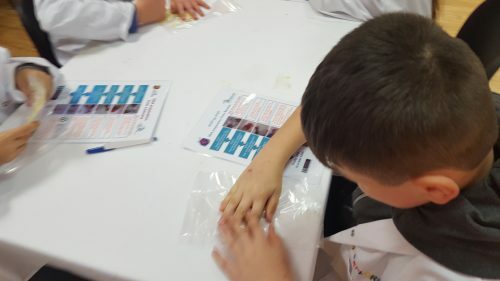 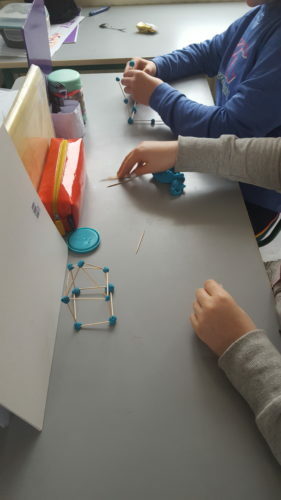 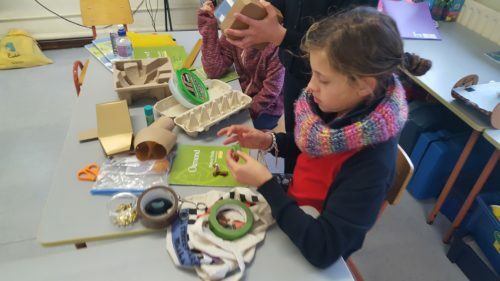 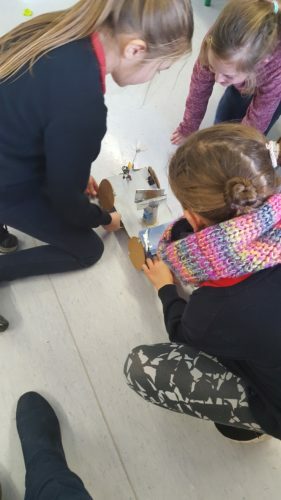 This was a hands-on science session designed for primary school students to practice science and see where it fits into their own lives. 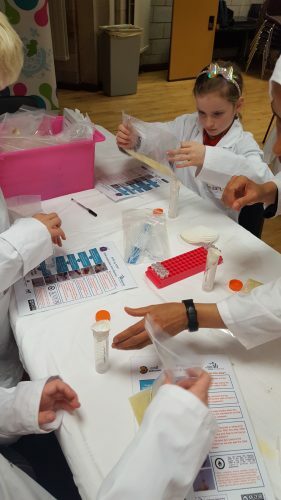 This year for Space Week we investigated Mars! 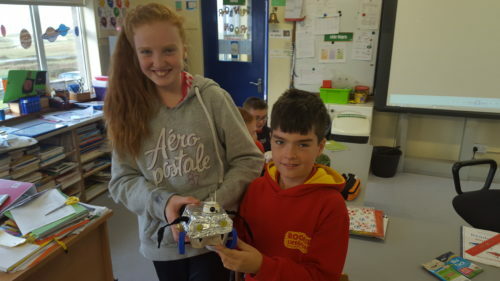 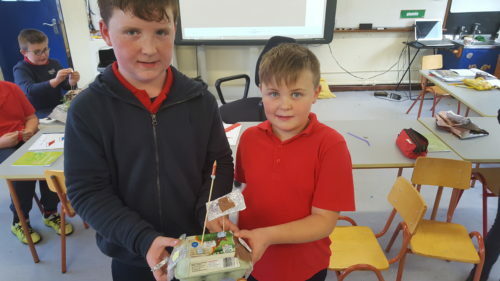 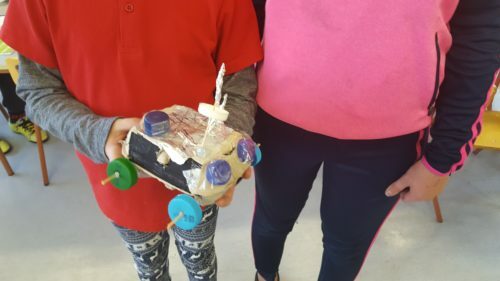 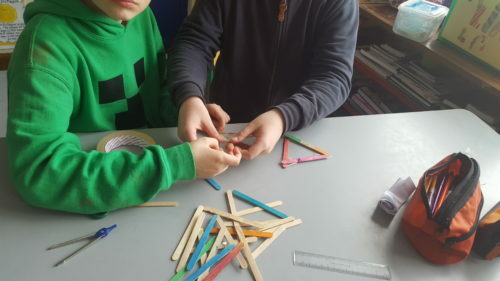 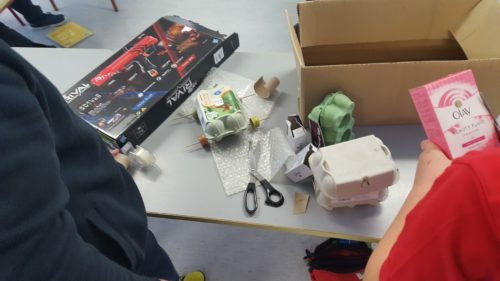 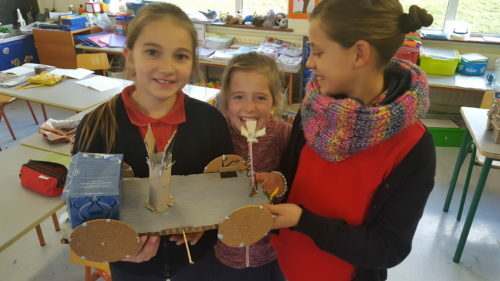 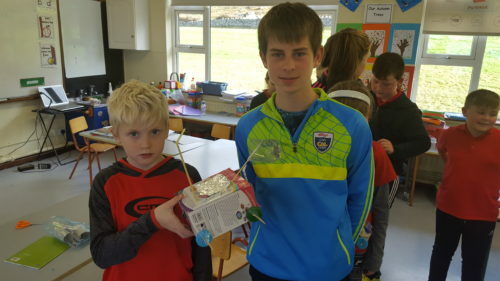 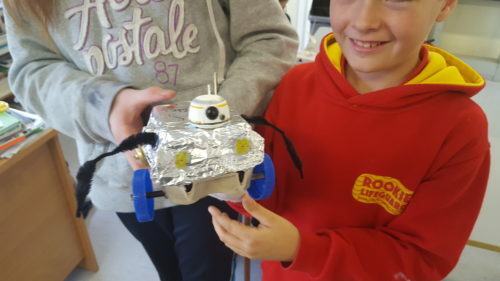 Thereafter, we set the children a challenge of creating their very own Space Buggy. 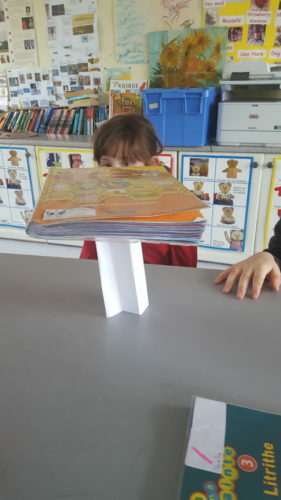 The children had certain criteria to follow! 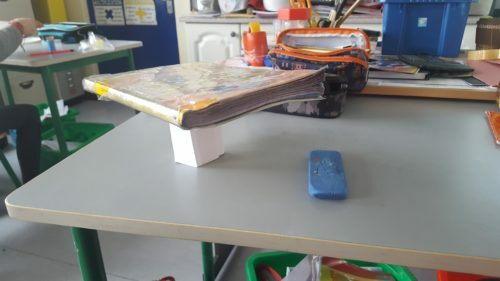 It had to move, it had to have a satellite etc. 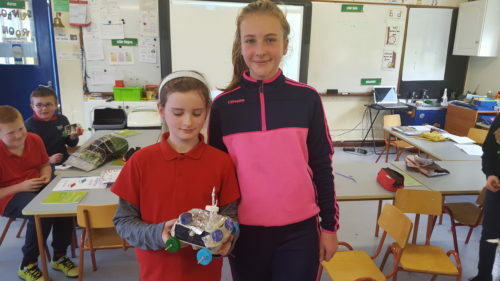 Karen & Stephanie came to our school today as part of the Streamcapes Programme. 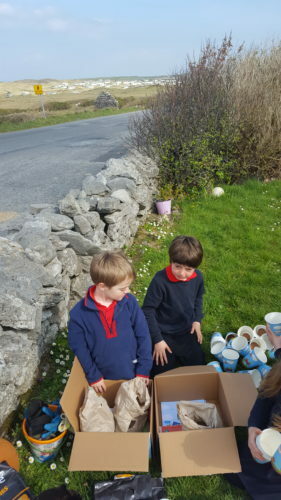 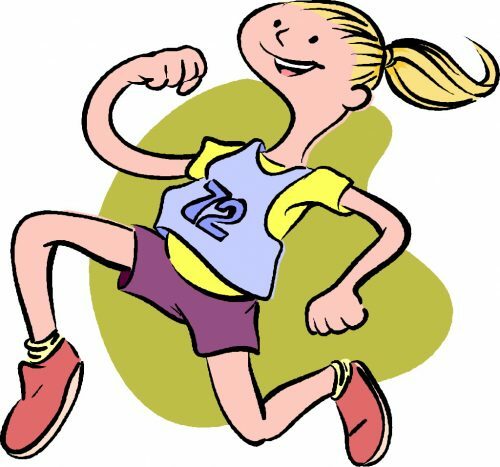 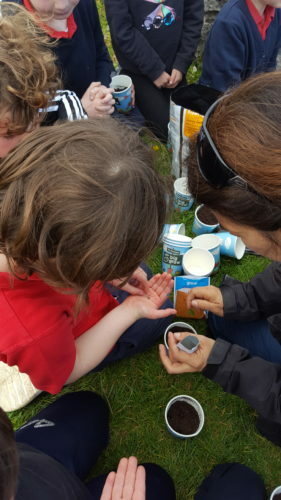 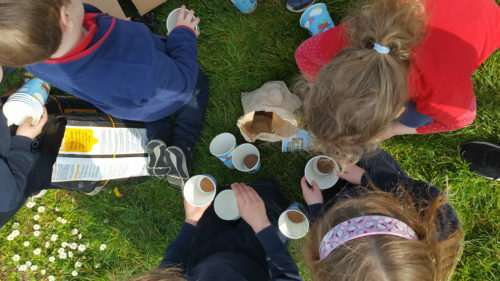 Streamcapes is an environmental educational programme in which the children learn about their local Catchment area. 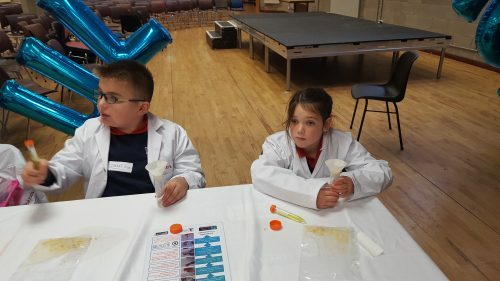 Children actively investigated water samples from 2 local rivers. 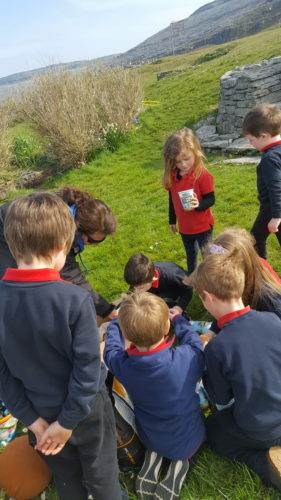 They found a range of different invertebrates.